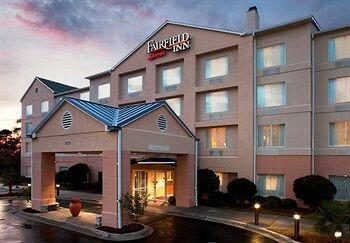 Property Location With a stay at Fairfield Inn by Marriott Myrtle Beach North in Myrtle Beach (Briarcliffe Acres), you&apos;ll be convenient to Carolina Vineyard Winery and T.I.G.E.R.S. Preservation Station. This family-friendly hotel is within close proximity of Arcadian Shores Golf Club and Alabama Theatre.Rooms Make yourself at home in one of the 86 air-conditioned guestrooms. Complimentary wireless Internet access keeps you connected, and cable programming is available for your entertainment. Conveniences include safes and desks, and you can also request cribs/infant beds.Rec, Spa, Premium Amenities Don’t miss out on recreational opportunities including an indoor pool and a spa tub. Additional amenities include complimentary wireless Internet access and a fireplace in the lobby.Dining A complimentary continental breakfast is included.Business, Other Amenities Featured amenities include a 24-hour business center, complimentary newspapers in the lobby, and dry cleaning/laundry services.